A Columbia University study discovered something that might make “Octomom” or other parents eager to have several kids pause for a moment: Children conceived less than 12 months after an older sibling is born are three times more likely to develop an autism diagnosis. According to the study, which documented 662,730 second-born California children from 1992 to 2002, the multiplied risk doesn’t subside until at least 23 months have passed. While no data was found suggesting an explanation for the statistical findings, medical experts assert that the risk of actually developing the disability is still low. The study was conducted because authors noticed previous research revealing an association between short intervals and other brain problems, including schizophrenia. Because the study focused on finding a link and not the factors increasing a child’s likelihood of developing autism, the only speculation offered was nutritional deficiencies that appear in the years immediately following the birth of a child. While this offers little insight about the research, the timing is notable considering my post two days ago when WCCO mentioned the pause parents are having about vaccinating their children. When factoring the overall risk of developing autism, the percentage is low, with current estimates around 1%. However, most journalists and editors will gloss over that specific number in favor of flashy, attention-getting figures. In fact, it’s a pattern you’ll see on most reports about studies; the percentage difference is listed, usually in multiples (twice, three times, four times a likely, etc. ), but the overall percentage is never calculated. The lack of statistical detail often irks me when I read or watch stories on studies because reporters rarely put new findings into perspective. No reference point is often an ingredient in driving the news audience to a state of paranoia, because the audience is more likely to ignore the 1% chance of a child developing autism and see a flashing LED sign about the three-fold increase for children conceived less than a year after their first-born. To be fair, Linda Carroll, who published MSNBC’s version of the story, does acknowledge the potential of scaring parents-to-be by including figures on the recommended intervals for multiple kids. She also quotes two medical professionals who advise people maintain their common sense about deciding to have a child. Such anecdotes are generally included in reports about studies that could carry significant implications to people’s health. Also stressed are the unanswered variables the study hasn’t accounted for, which only means further research lies ahead, leading to more questions as the search for factors that increase a risk of autism continues. I’m the oldest of 4, and I’m sorry to say I’m the only screw-up of the bunch :-P. While more questions than answers are revealed by this study, it symbolizes autism’s increasing saturation with Americans as several outlets picked up the study. This may also provide more evidence to organizations who recommend a more patient stance (including the World Health Organization) to ensure the best health for both mother and child. Ultimately, there will always be a risk of something when giving birth, but that hasn’t stopped most parents (and more shady figures) from “laying their eggs.” Journalists would be advised to hatch more stories about the Columbia University study for future use. I’ve noted how autism is often placed into two camps when covered by mainstream media. One is the tragic storyline that metaphorically equals the heartbreak of a cancer diagnosis. The other is the “pedestal” where someone will transcend all notions of a label. The story I’m discussing falls close to the “pedestal,” but not quite. It’s a big-picture profile, including a non-profit organization in Chicago that helps train high-functioning autistic people to adapt to the workplace, a difficult preposition with the Danish “spiritual sister organization” Specialisterne suggesting that 85% of autistic people under the age of 21 are unemployed or underemployed. 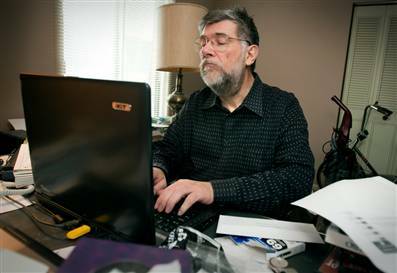 Aspiritech, the organization in Chicago, was training high-functioning autistics as testers for software development companies at the publication date (December 8th, 2009). Brix was a former computer systems employee for Wrigley before moving to Aspiritech. He and employees at Denmark’s Specialisterne credit their autism for giving them an advantage. The common symptom of taking interest in repetitive, predictable work becomes a help versus a hindrance, with employees at Specialisterne serving as consultants to perform data entry or assembly work. Not the most exciting career path, but those with autism often thrive on it, giving intense focus to their task at the exclusion of almost everything else (a workplace example of lack of empathy). The second half of the article highlights challenges facing autistic adults, the common thread being social interaction. Other authoritative names, including Temple Grandin, suggest society would benefit by including people on the autism spectrum in the workforce, emphasizing the differences in personality versus weaknesses of the disability. Robert Austin, professor at the Copenhagen Business School, sees autism as a variation that could contribute to innovation at work. My first reaction? DING! There’s been so much emphasis on heartbreak and despair with autism stories in the last few years that it’s no surprise autistic people (myself included) are having little luck finding steady work. Of course, graduating from college in the middle of The Great Recession hasn’t helped my odds, but autistic people are certainly capable of performing some tasks without a problem. My difficulty is finding the right employers to evaluate my skills. On broader terms, switching the focus to differences instead of disabilities could also assist people who have more severe variants of autism find ways to utilize skills the neurotypical world wishes they had. The author is a science writer with a doctorate based in Seattle and Copenhagen in Denmark, which likely explains the interviews with Danish personnel. This article continues the trend I’ve noticed since fall of progressing from introductions to investigations of deeper issues surrounding autism. Other local and national reports of this nature should be published in the near future as autism occupies more adults. The Autism Society of America published a similar story in The Autism Advocate a couple years ago, but this is the first national story I’ve read on the subject that is available to the public. The article is well-sourced, and the international perspective adds more credence by showing the audience that autism is noticed in other developed countries. I doubt the author’s contribution will instantly change conventional views of autistic people, but historians may point to stories like these if a gradual acceptance of autism is observed. Speaking from my own observations, there’s a trend with autism employment stories that I noticed in this report: That autistic people excel at monotonous, tedious and repetitive work. Yeah, most of us in the autism circle know about that, but if the pattern continues with other news outlets, I’m concerned the public will come down with “Rain Man Syndrome 2.0” and assume that autistic people are only capable of jobs described in the article. I don’t call myself a journalist just for the heck of it.